In the context of reducing household greenhouse gas emissions, in-home energy feedback displays have been trialled as a mechanism to assist households to monitor and change energy-use behaviour. As we move towards technology-rich zero-energy homes, the challenge of managing energy use and electricity generation systems will increase and a new role for in-home feedback displays may emerge. 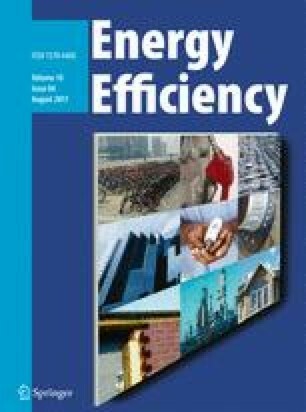 This paper describes the in-home display and monitoring systems installed in a near-net zero-energy residential estate and provides a summary of the energy-use data generated by the systems. It also draws on 25 in-depth interviews to discuss the residents’ attitudes towards, and experiences interacting with, the in-home feedback display and energy management system. Residents describe how the feedback displays assist them to understand their end-use energy behaviour, reduce net energy use and assess whether household appliances and renewable energy systems are operating correctly. The role of energy system fault identification is highlighted by many interviewees, where the feedback displays provide the means to monitor system performance, identify system failures and maintain low-energy-use outcomes. The online version of this article (doi: 10.1007/s12053-016-9489-9) contains supplementary material, which is available to authorized users. The authors wish to acknowledge the support provided by Renewal SA and the residents of Lochiel Park. Finally, the authors also wish to thank Dr. Anne Sharp, University of South Australia, for her valuable advice and assistance in shaping the Lochiel Park residents’ interview design. All electronic and interview data used in this study has been gathered with the expressed permission of the residents. Bishop A (2008). Lochiel park case study. http://yourdevelopment.org/casestudy/view/id/7. Accessed 7/2/2012 2012.